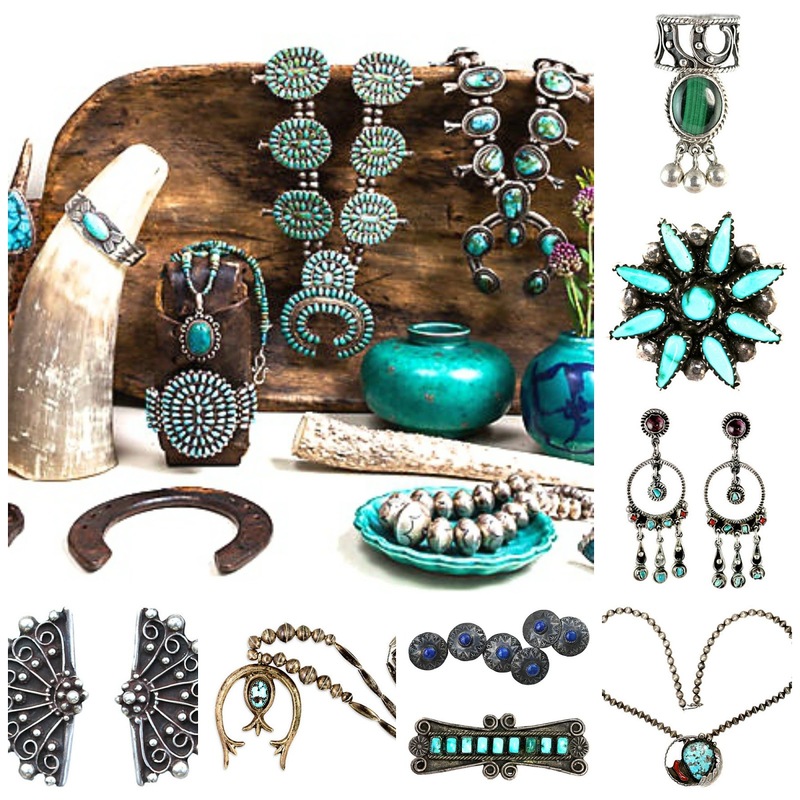 I am so excited for you to see all of the wonderful Native American turquoise and vintage Mexican silver jewelry that I saved up all winter for the One Kings Lane Santa Fe event. Here's another sampler of the more than 250 items that will be in my Yourgreatfinds on One Kings Lane shop. Get there at 6:00 PM PST sharp! If what you want is in someone else's cart, keep refreshing. Most shoppers get only 10 minutes and then the item will drop out and you can grab it.